that, "All of the most elite Creoles covet a home on the Esplanade." Louisiana, state senator and member of the Constitutional Convention of 1851. Rex in 1896. 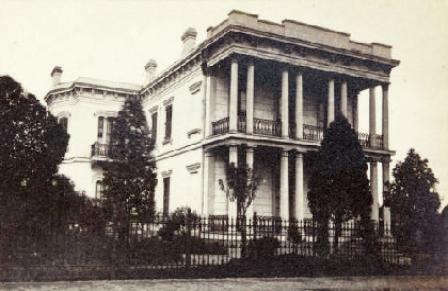 The Baldwin family remained in the house until 1912.
and, later, the screw pump, that enabled water to be pumped from land situated below sea level. Mr.
he remained with the N. O. Sewerage & Water Board until his retirement. believe to be the oldest first, on down the page, to another current shot at the bottom. The photo above was taken in the 1930's.